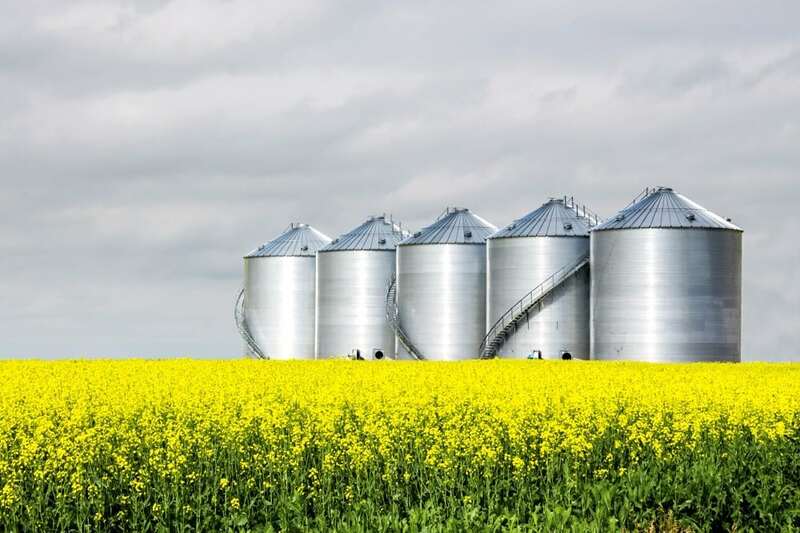 When it comes to your on-farm storage and maintaining canola grain quality, there are some elements you can control — and others you can’t. One area you can influence is the original condition of the canola seed going into your bins. Swathing at the correct stage or straight-cutting will help minimize many of the quality and spoilage issues that can stem from high moisture or green seed making it into your bins. Keep in mind that it can take between four to six weeks for freshly-harvested canola to go into its dormant, “shut-down” state in storage. If there isn’t an opportunity to deliver your harvested canola crop directly off the combine, it’s critical that any canola you put in bins has aeration on it to cool and force potential moisture pockets out of the bin. Start with aeration fans as soon as the canola covers the floor of your bin, so that you can start cooling seed immediately. Keep the fans running until the canola seed temperature is close to the average outside temperature. Pockets of moisture, higher than average green seed content or weedy material in your bins can heat up, resulting in serious damage that spoils stored seed and leads to serious economic losses. Monitor your bins closely during the first six weeks starting after harvest, up until seed delivery. Also, be sure to keep an eye on temperature and moisture levels, maintain good airflow and move the canola seed around to minimize bin losses. Doug Moisey is an agronomist with Corteva Agriscience, an agriculture division of DowDuPont.